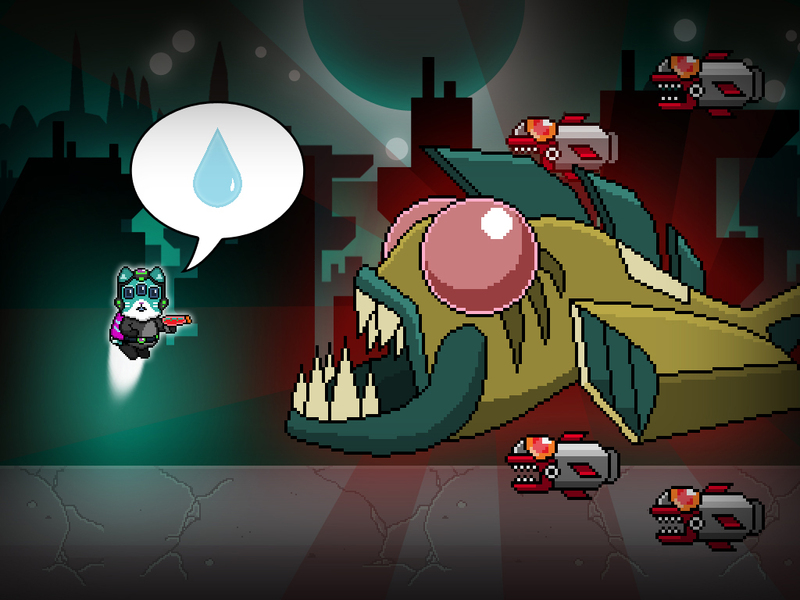 This three-eyed cyber alien kitty is hungry for some Cyberfish and he's going to get some no matter what! 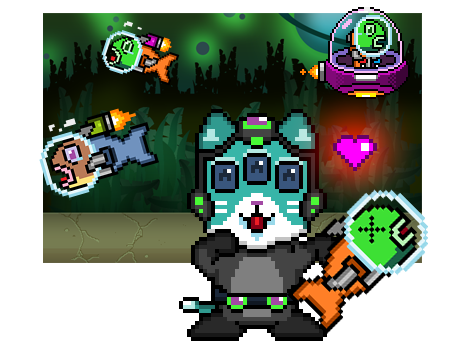 Join this hungry cyborg feline in his daredevil and trigger-happy antics, as he travels the galaxy in search for the ultimate robot seafood feast! 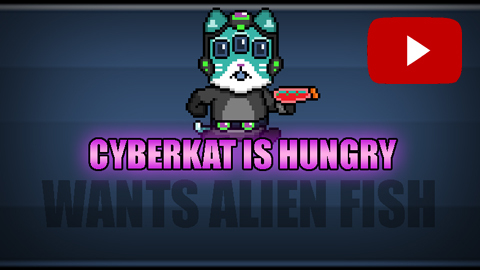 Cyberkat wants to catch some Cyberfish for dinner, but he's all out of Cyberfish. 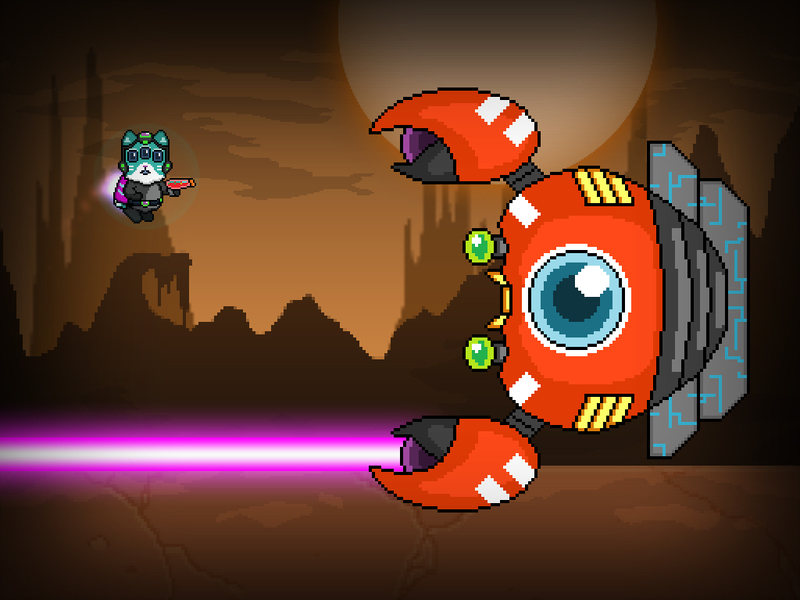 So it's time to do some space-fishing - using machine guns, laser pistols, and a heaping ton of explosive rockets! This robot planet is home to a variety of cyborg seafood fauna. Why not cook some innocent Cyberfish citizens in Anchovy Street for a snack? Or how about making some Clam Missile Chowder? 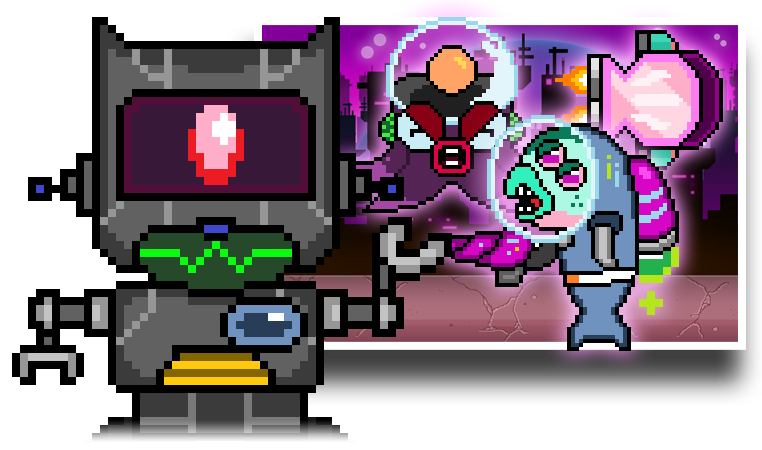 From Mecha Death Anglerfishes to Colossal Mutant Squids, there's plenty of robot seafood to cook for any hungry Cyberkat to enjoy as you rampage through the various worlds in Cyber Atlantiqua! 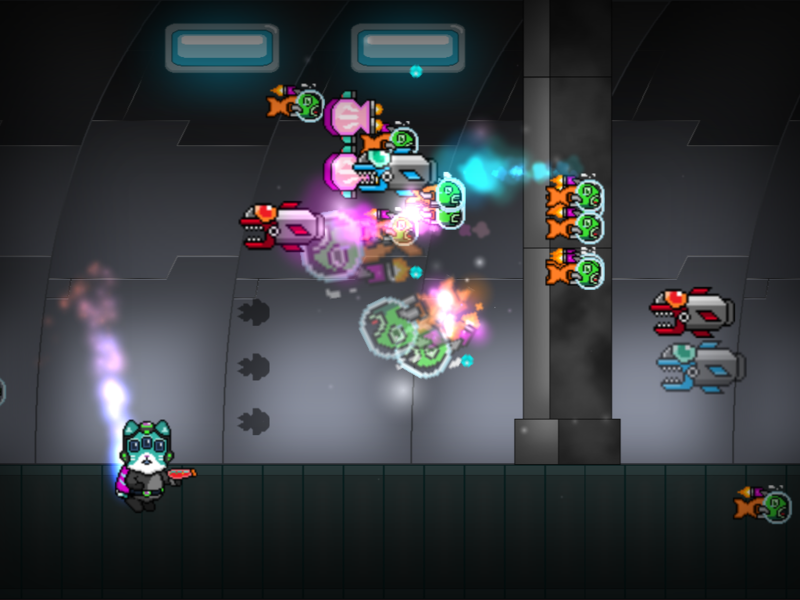 Equip microchips that enhance your weaponries in order to maximize the carnage that ensues as Cyberkat's continues his ruthless cyber-fishing. Unlock more crafting recipes as you travel all over the planet in your quest for the perfect cyborg dinner. Enjoy explosive fast-paced action arcade gameplay. Blow up seafood-themed enemies in this unique runner/shooter hybrid game. Supports two flight controls: touch & hold, or tilt functionality. Equip powerful microchips to enchance your Cybersuit and unlock new powerups. Craft more microchips to further expand your arsenal. Includes 8 worlds to explore, 4 Levels each. Includes epic boss battles in each world. You can show your support by liking our Facebook page or following us on Twitter. © 2014-2015. 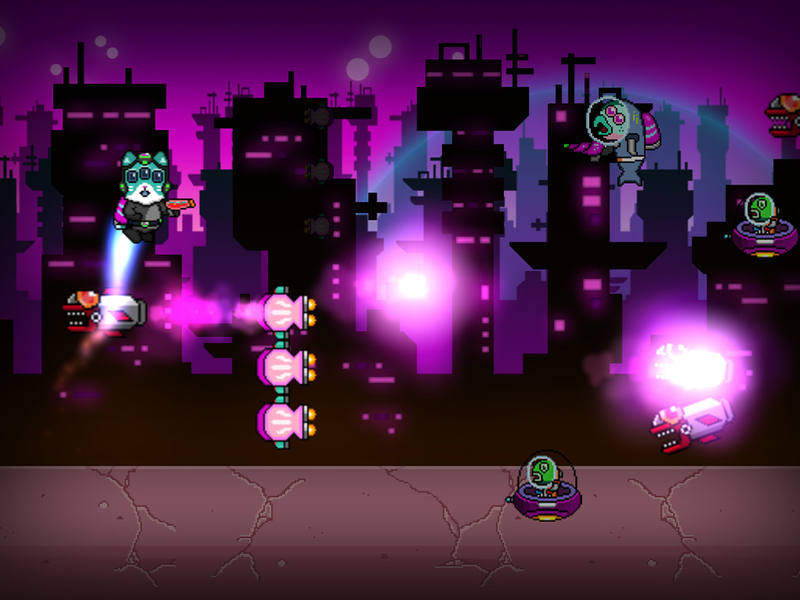 "Cyberkat" is a game created by Adventure Cat, LLC. All rights reserved.